Unfortunately we can’t add cladding (we thought that too!) great suggestion for the garage and pillars though! Thank you! We have come to the part in our contract where we need to do some cost cutting - the wishlist has exceeded the budget! We have decided this is the design we are going to build. Just looking for suggestions on how to best use the space. How to make a house a home? We are very fortunate to be building a new home and have just decided on a design. However I am already challenged with interior styling! That's amazing, Sparrows nest, thank you so much! Yes, that's what we mean. This is the design that we are considering, however due to the size of our block we need to reduce the overall length of the house. I think it depends where you live - you need good airlflow/breeze through the house for it to be effective. Thanks Mand M+4, very helpful! Thank you! Always a bonus if there is money left at the end! 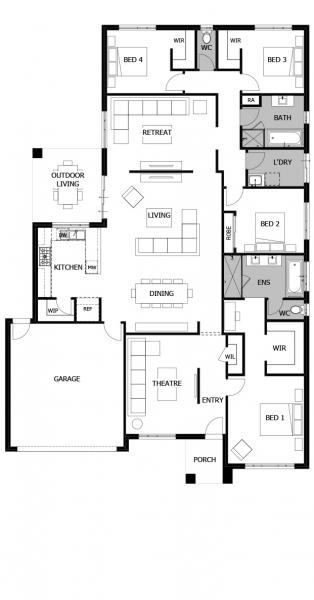 We are looking to build a single storey 28 sq home in Melbourne. We are knocking down so have some additional costs to factor in. Its flat A couple of trees to be removed though. Hi there, just looking for some feedback on our budget please. This is our initial breakdown. We are looking to knock down and rebuild a home of around 28sq, single storey. We are just about decided on a design and would love feedback on it. thank you both, very helpful! Good morning, new kid on the block here! I am in a quandary regarding bathroom renos. Wondering what the consensus out there is!